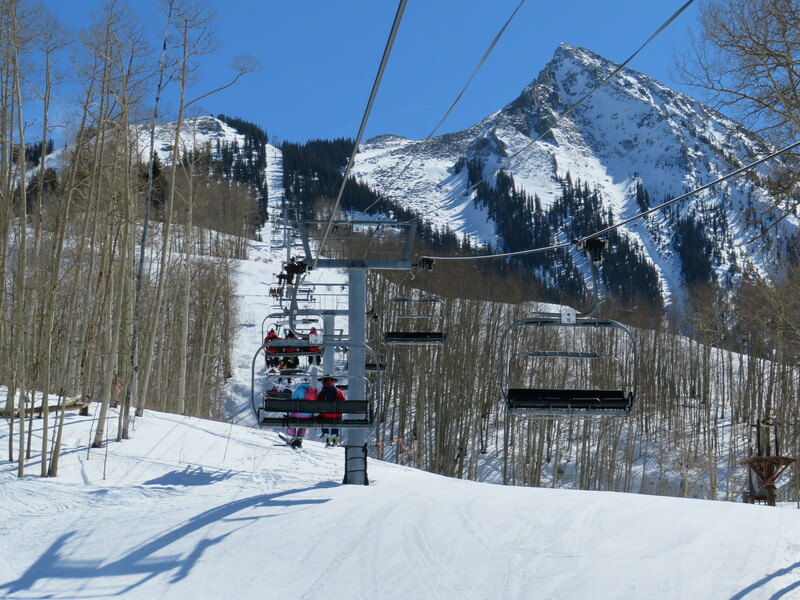 Crested Butte Mountain Resort operates a dozen lifts in central Colorado, mostly built by Poma. The largest publicly-traded ski resort company in the world today simultaneously unveiled two major transactions to buy ski resorts in four different states for more than $300 million. Vail Resorts will acquire Triple Peaks, LLC for $82 million and Stevens Pass, Washington for $67 million, subject to regulatory approval. The former, founded and owned by Tim and Dianne Mueller, operates Okemo Mountain Resort in Vermont, Crested Butte Mountain Resort in Colorado and Mt. Sunapee in New Hampshire, hence the name Triple Peaks. Broomfield, Colorado-based Vail will buy out the three resorts’ long term leases from Oz Real Estate upon closing for an additional $155 million. Okemo, Mt. Sunapee and Crested Butte signed onto the industry-pioneering Epic Pass back in March and will now offer unlimited, unrestricted access for Epic passholders. Another Oz-owned resort, Stevens Pass, will be sold to Vail for $67 million in a separate deal subject to regulatory approval. Stevens Pass is currently operated by Karl Kapuscinski along with Mountain High, California. The SoCal resort is not included in Vail’s purchase. Stevens Pass will join the Epic Pass for the first time, making it an even more compelling product for Pacific Northwest skiers who frequent Whistler Blackcomb. Stevens will also be included in the Edge Card, a product that predated Vail and is offered exclusively to residents of British Columbia and Washington. Notably, Stevens Pass has major lift expansions on both flanks of the current trail system in its approved master plan. Okemo is a nearly 100 percent Poma mountain in southern Vermont that competes with the powerhouses of Stratton, Mt. Snow and Killington. With today’s news and other deals including the sale of six resorts to Boyne Resorts, the Oz Real Estate Ski Resort Holdings portfolio now includes just Jiminy Peak and Sierra at Tahoe, down from 15 resorts at its peak under CNL Lifestyle Properties. Northstar California, Mountain High and Bretton Woods were also sold off over the last few years. Every Tuesday, we feature our favorite Instagram photos from around the lift world. Apologies for the lack of posts this week, I’m on a ski vacation. 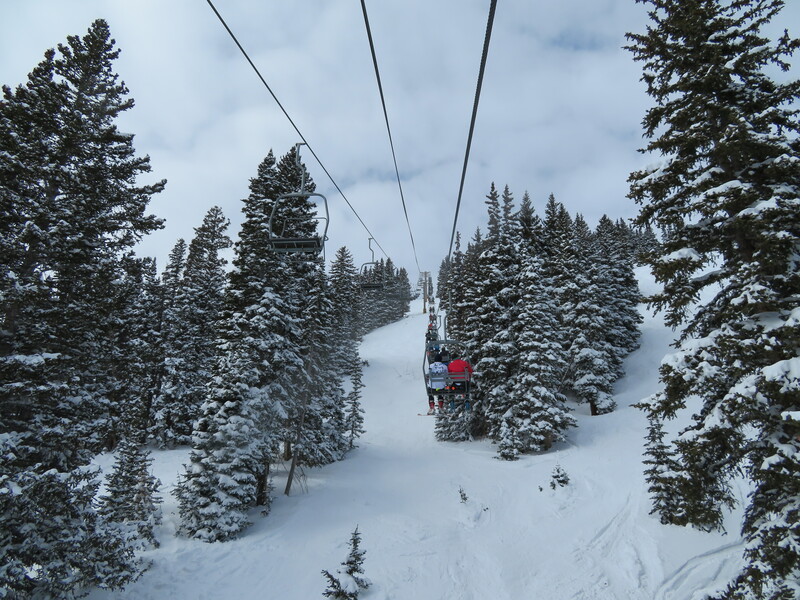 Snowbird granted unanimous approval to build two chairlifts, a new gondola and upgrade the Mineral Basin Express. A zip line will share towers with the gondola in Mary Ellen Gulch. Boyne Resorts buys 77 acres on Snoqualmie Pass for an improved connection between Summit Central and Summit West that could someday include a new chairlift. Okemo Mountain Resort files for permit to build a fixed-grip beginner quad chair at Jackson Gore. In other Snowbird news, the two-month project to replace the Aerial Tram’s track ropes begins April 18th. Big Snow America is the latest incarnation of the snow dome at New Jersey’s Meadowlands hoping to be the United States’ first indoor ski slope. The latest plan pegs an opening next year. 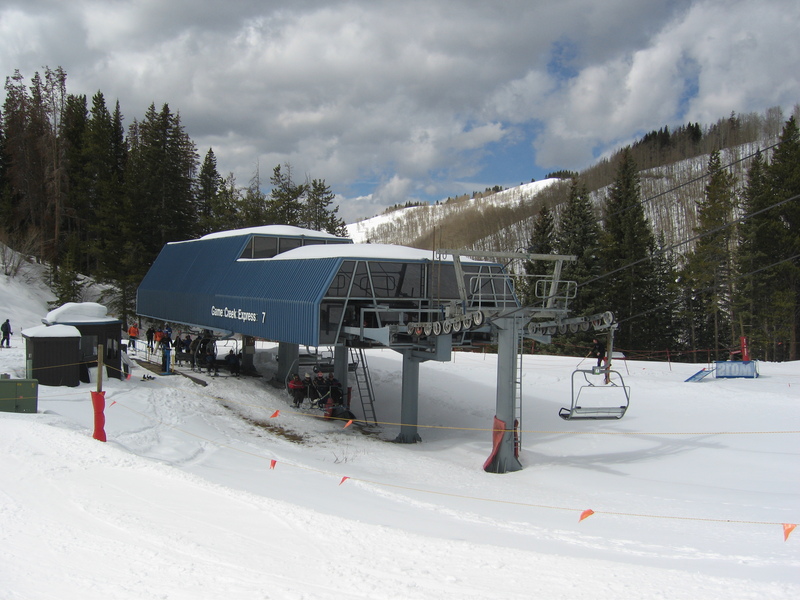 Doppelmayr CTEC completed two lifts for the project – a quad chair and a platter – back in 2008 that have yet to carry any skiers. The $210 million Fansipan Legend 3S opened yesterday after two years of construction, becoming the world’s longest and tallest tri-cable gondola. Brothers selected to build and operate a chairlift at the North Carolina State Fair to open by October. Now they just need the chairlift. Weak Canadian dollar not helping ski hills looking to buy lifts that are now twice as expensive. Doppelmayr USA says it’s in “active dialogue” with 15 to 20 cities for urban gondolas, including Clearwater, Florida. Developers of Garibaldi at Squamish get the first of many approvals for a new resort with 3 gondolas and 18 chairlifts. Two people hospitalized when a grip issue stacks two chairs at Granite Gorge Ski Area. The lift in question is a 1981 Borvig double. Okemo stops the practice of heating motor rooms 24/7, saves $31,000 a year. An errant tree at Snow Summit de-ropes a CTEC triple in gusty winds. Two riders fall from chairs, others are evacuated with only minor injuries. Contract awarded for India’s first urban gondola, to cost $24 million and open within two years. The first non-prototype photos of Doppelmayr’s new detachable terminal that will replace the Uni-G model over the next few years. It’s certainly different; note the huge windows, Frey controls and stairs instead of ladders on the Kirchenkarbahn’s terminals. Thanks for the head’s up, snowtirol. Maine’s chief tramway inspector releases his report with pictures on the King Pine rollback and Sugarloaf’s GM responds. Eight months after the incident, the replacement drive terminal is nearly finished. Doppelmayr Garaventa Group revenue was down 7.5% to $841 million in fiscal 2015 while the company’s global employee headcount rose to 2,546. Still more bad press surrounding Saddleback and the resort’s asking price is down to $9.5 million for 2,000 acres. 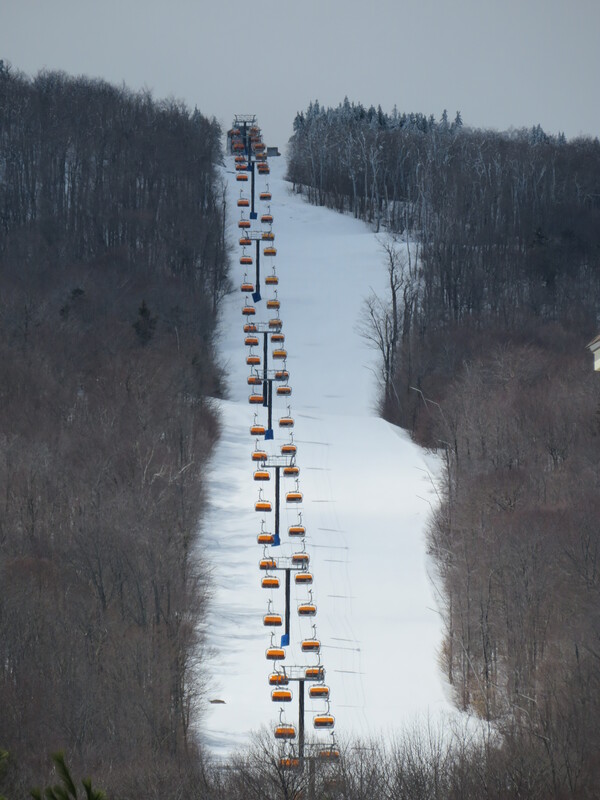 Meanwhile Boyne offers passholders in the lurch last spring’s rates on New England Passes. Peak Resorts, the fourth largest operator of lifts in North America, buys Hunter Mountain for $36.8 million. After the deal closes the publicly-traded company will operate 14 ski resorts with 153 lifts in Vermont, New Hampshire, New York, Pennsylvania, Ohio, Indiana and Missouri. Two different models of LPOA chairs going up at Okemo and Purgatory. West Mountain demonstrates an old lift can be new again with help from Leitner-Poma, SkyTrac, Green Mountain Control Systems and Alpine Engineering. They call it ‘The Beast’ for a reason. Killington opened for skiing on October 19th and is running 240 snow guns nightly, all while flying concrete and adding a mid-station to their Snowdon triple. The 1973 Heron-Poma is evidently going to stick around for awhile. Fun fact: Snowdon had a mid-station in nearly the same spot which was removed in 1990. Lutsen’s recently retired Hall Skycruiser gondola cabins sold out in 4 minutes on Cyber Monday for $1200 each. A new gondy opens to passengers December 11th after a brief delay. If you missed out on the $1200 gondola cabins, you can still get someone a $150 double chair this holiday season. #Okemo has you covered on the coldest days! 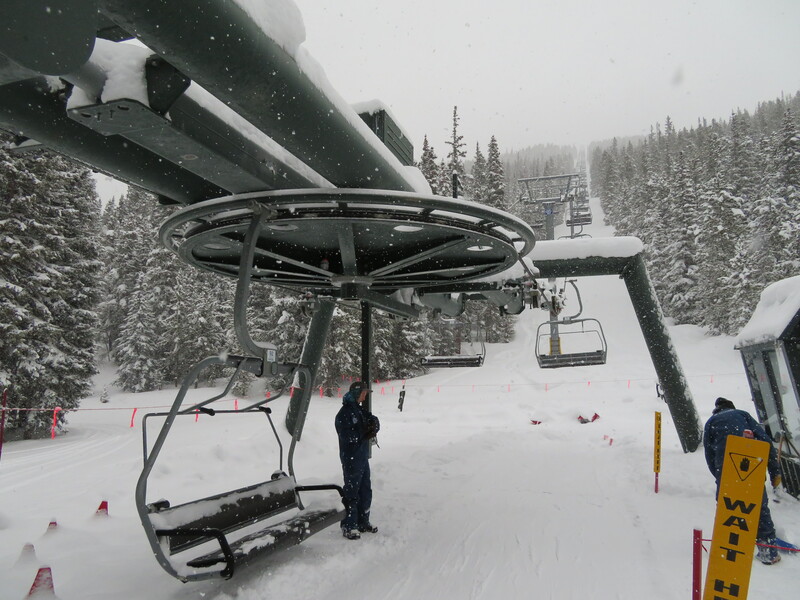 The last bubble chairs were installed on our new Quantum Four chairlift at Jackson Gore this afternoon. Plan on riding #QuantumFour's sidekick, #SunburstSix, next week! Hanging carriers at Powderhorn, Snowmass, Sipapu and Lutsen. Leitner-Poma Alpha motor room arrives at Okemo. No lift inspections, no updates and no comment from Maine’s third largest ski resort. The last post on their Facebook page was Oct. 17th. The Balsams will not break ground this year as originally planned but still hopes for a 2016-17 opening with a mix of new and existing lifts. 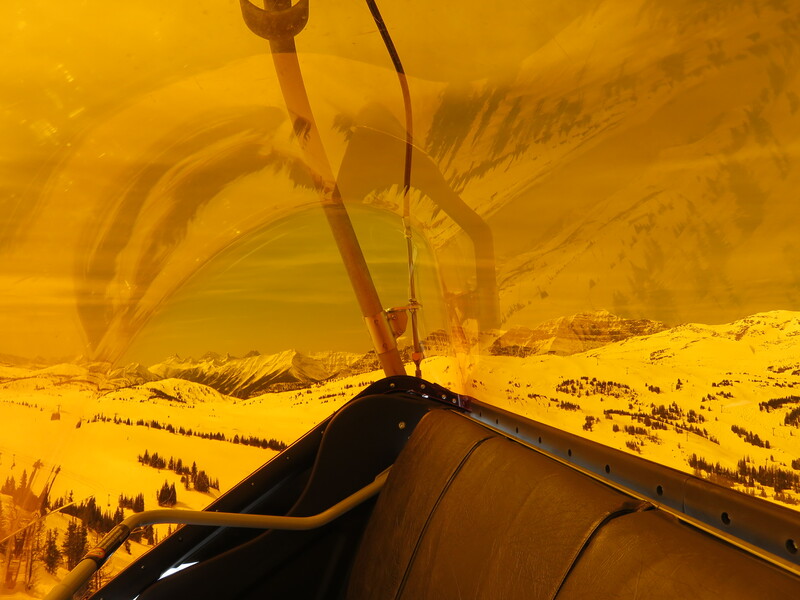 Leitner-Poma would supply a gondola proposed to run from Queenstown to The Remarkables on the South Island of New Zealand. L-P built The Remarkables’ flagship six-pack “Curvy Basin Express” in 2014. The new gondola system would span 6.1 miles in two sections and take 27 minutes to ride with a potential opening in 2018. It would feature an impressive 4,200 foot vertical rise and 140 8-passenger cabins from Sigma. Sunshine Village cuts the ribbon on Canada’s first new bubble chair since 1999. Tee Pee Town LX (Luxury eXpress) also has the first seat heating in Canada. Congratulations to Sunshine on completing one of the most modern lift fleets on the continent while others curate lift museums. I passed a Doppelmayr drive terminal on I-80 last week. Now I know where it was going: Sugarloaf. More pictures from Lutsen Mountains of their new gondola. The old Hall Skycruiser is still standing parallel to her replacement. Haul rope and commline go up at Okemo. North Korea’s Masik Pass ski resort looks to have gotten a base-to-summit gondola this summer based on recent satellite imagery. Perhaps another counterfeit Doppelmayr? 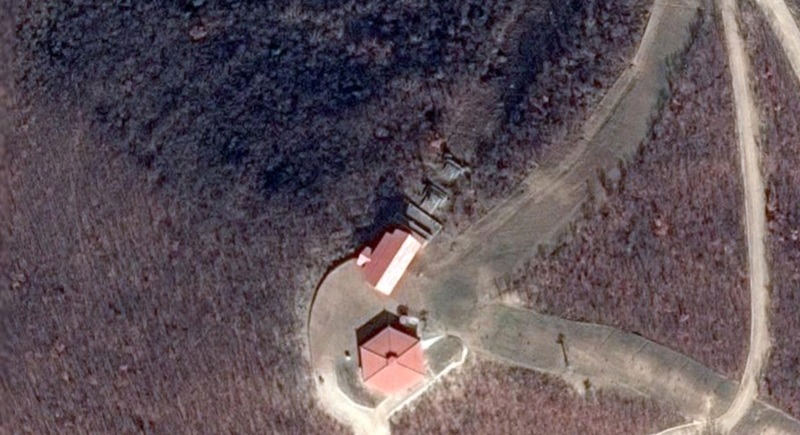 Creeping on North Korea’s ski lift construction in Google Earth yields a new building at the summit of Masik Pass. It looks to house a detachable lift terminal with a lift line stretching all the way to the base area with towers and gondola cabins also visible. The existing summit double is on the lower right. In British Columbia, first Crystal Mountain and now Mt. Baldy will not open this season. Baldy has a T-Bar, Mueller double, and 2007 Leitner-Poma quad that last operated in 2013. SkyTrac load tests at Pomerelle. One more to go at Arizona Snowbowl.